The Global Bamboo and Rattan Congress (BARC 2018) was well attended by government ministers from INBAR member states. BARC 2018 has been identified as the driver of a policy change in Jamaica. Huge private sector investment in the country’s bamboo industry is now well underway. INBAR continues to support member states to develop bamboo policy to attract investment, develop green livelihoods and protect and cultivate natural resources, and INBAR member states wake up to the power of bamboo. As time goes on, the rippling effects from last June’s Global Bamboo and Rattan Congress, BARC 2018, are being felt. The first country to undergo a regulatory change directly due to the Congress is Jamaica, with Minister without portfolio in the Ministry for Agriculture and Fisheries, The Honourable J.C. Hutchinson, pushing forward a major regulatory change to promote bamboo in the country, ushering in huge investment, plans for infrastructure change and the creation of new production chains. In Jamaica, there are two ways for national policy to change. The first is by parliamentary vote, which can take months, and the second is by ministerial decree, which can take two weeks. The watershed moment for bamboo came in August this year and took the form of the second option, ushered through in a matter of weeks – but the seeds for this change were planted more than three years ago, when Jamaica became the 38th member of INBAR, and continued when INBAR first started planning its inaugural Bamboo and Rattan Congress, BARC 2018. As in many countries of the Global South, bamboo is a common sight on the roadside in Jamaica, and sometimes even encroaches on farmland, where it is occasionally viewed as a pest. Despite its prevalence, bamboo was previously not classified as an agricultural crop at all, meaning it couldn’t benefit from government subsidies and tax-free income generation under the law. However, once Minister Hutchinson returned from BARC 2018 a “full convert to the religion of bamboo”, as his colleague Dr. Omer Thomas put it, all that changed. 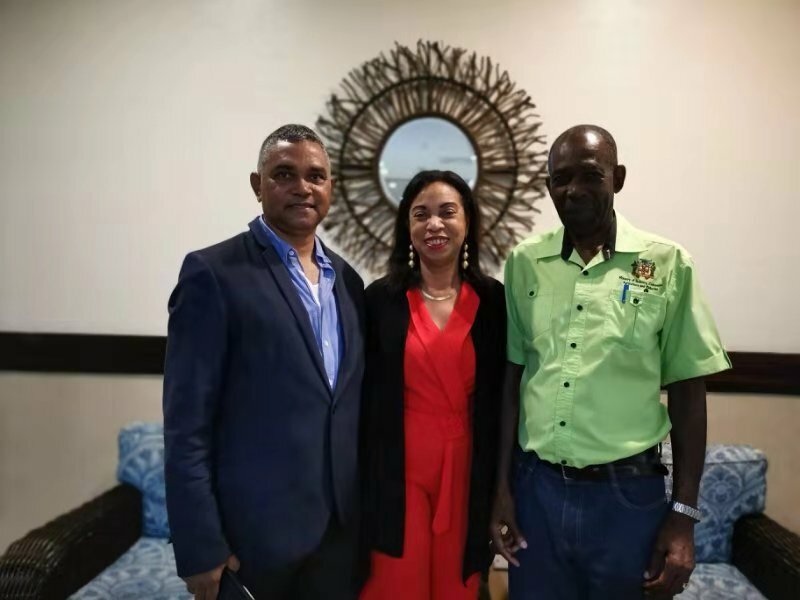 Minister Hutchinson was able to reclassify the crop, and in doing so kickstarted a transformation of the bamboo industry on the island. According to the government, a major focus of this rapid expansion is on bamboo pulp and paper – a sure to be growing industry as the world turns away from slow-growing, environmentally costly trees and looks for greener, more sustainable supply of alternatives for paper and plastic. 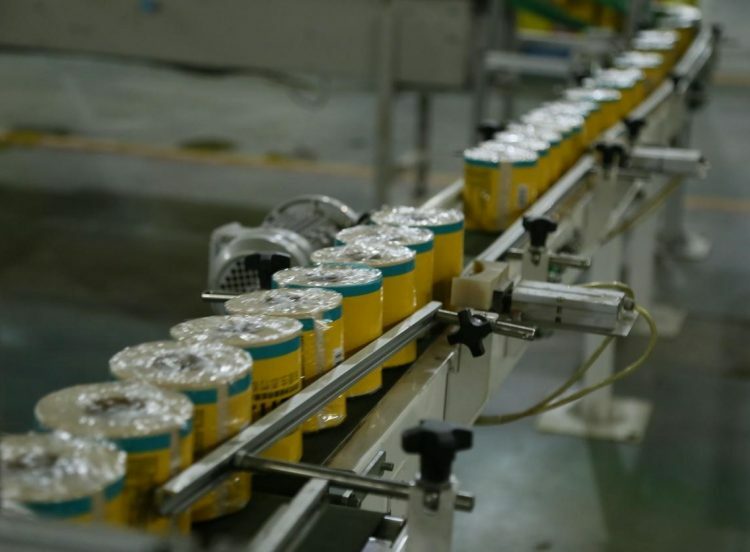 See above picture for a plant manufacturing toilet paper from bamboo in China, which is currently the only country in the world which mass produces this product. Since bamboo is the world’s fastest growing plant, grows on even severely degraded soil and grows back whenever it is harvested instead of needing to be replanted, it’s an obvious solution – and so a large investment for paper mills in the country will get started in 2019. 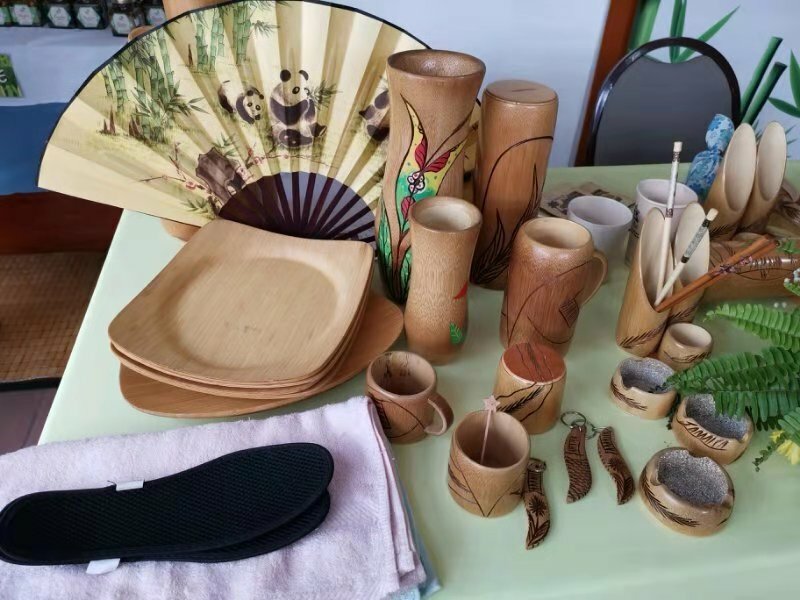 Just some of the bamboo products already made in Jamaica. But the government aren’t just looking towards paper – smaller industries such as handicrafts and edible bamboo shoots will also get a look in. In addition, it is hoped that bamboo can be used to replace carbon-heavy imported construction materials such as timber and concrete. The National Housing Trust is even funding an ambitious $54 million research project into bamboo for construction on the island. Senior General Manager of Construction and Development at NHT, Donald Moore, sees this huge investment as investment in the local economy, since bamboo can be grown on the island: “Most of our building products are imported, and if we can get some local resources being put in, it should benefit the economy,” He told Jamaica Information Service. 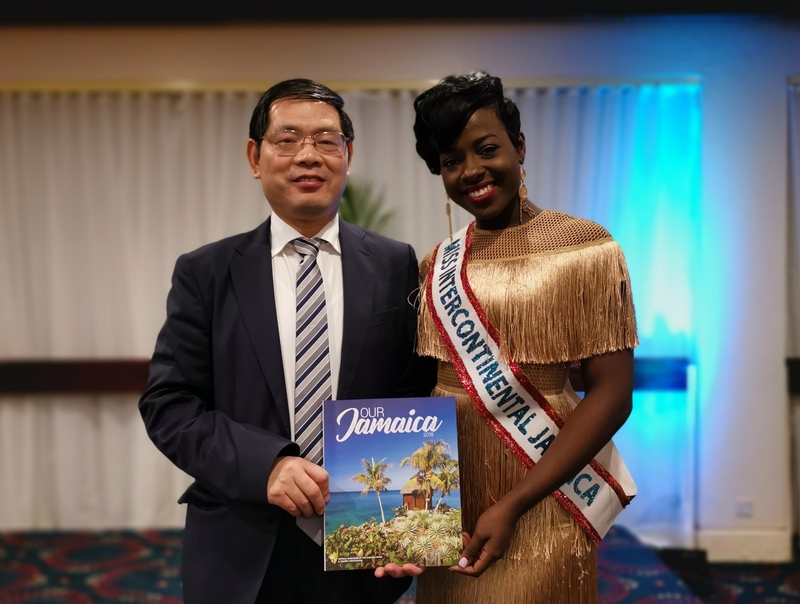 Minister Hutchinson was joined at the event by INBAR staff members including Deputy Director General Professor Lu Wenming, and by high-profile bamboo advocates such as architect Dr. Martin Tam – and not to mention local celebrities like Miss Intercontinental Jamaica Kayla Smith, who spoke passionately about the importance of creating sustainable local jobs from green natural resources. It’s not only Jamaica that has recently been making policy changes to support the bamboo industry. In 2018, India amended the National Forest Act, excluding bamboo grown in non-forest areas from its definition of timber. This reduced taxes and limitations on harvesting and transporting bamboo, and opened the door to many new opportunities for poor communities living near bamboo-growing areas. Due to bamboo’s unique biological properties it is unencumbered by the negative environmental impact of felling trees, and of course is biologically a grass. Legal classification of bamboo as ‘timber’ can thus be an unnecessary impediment to development. INBAR is the International Commodity Body for bamboo, and supporting member states to develop and maintain rigorous standards for bamboo in construction is another key step towards promoting a flourishing, sustainable global bamboo industry that is beneficial to both the planet and its people. In 2018, in addition to inspiring hearts and minds with the Global Bamboo and Rattan Congress, training workshops and study tours have provided member states governments with opportunity to plan a green, sustainable national bamboo policy and strategy, create and maintain regulations, and understand international standards. The time is right for bamboo’s full economic and environmental potential to be fully realised, as countries all over the world turn away from traditional carbon-heavy industries and towards a greener future. INBAR will continue to work with member states to facilitate policy change and pave the way for this transition. To read more about how INBAR works with member states on policy, click here. How does INBAR support its member states to develop bamboo policy and strategy?